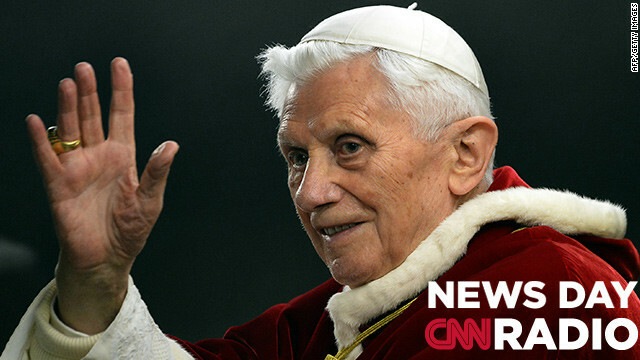 "In terms of his successor I don't think that there's going to be a significant transition... I would be surprised if we were to see something very different in our next pope because, after all, we want an element of continuity as this has come as quite a shock," says Madelaine Teahan, associate editor of Britain's 'Catholic Herald', a London-based Catholic newspaper. "A state legislature could enact a resolution saying we don't like this federal law. We wish it didn't exist. We wish we didn't have to follow it. But, all the same, they do have to follow it. This is probably more political grandstanding than complete ignorance about the relations between states and the federal government." "There's a huge supply chain involved that goes from Romania to the Netherlands, Cyprus, France and eventually to the food distribution companies."